Vanessa Campbell, along with her husband, has been growing vegetables, cut flowers, and strawberries in the Asheville area since 1996. She uses natural growing methods and sells her bounty at two farmers markets and through a small CSA. Nicole DelCogliano is the OGS Farmer Programs Coordinator. 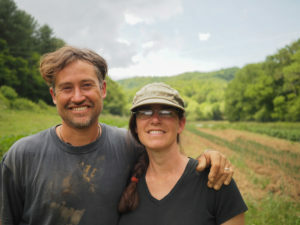 She and her husband Gaelan began their farm Green Toe Groun, a diversified organic farm in Celo, NC over 16 years ago. They’ve grown the farm over the years, and now manage 16 acres of diversified organic and biodynamic produce and livestock, train farm apprentices each year, and raise their two girls. Originally from NY, she has farmed and worked in education in NC for the last 20 years. She earned a Bachelor’s Degree in Anthropology from State University at New Paltz in New York, and has a Masters in Sustainability from the Center for Appalachian Studies in Boone, NC. 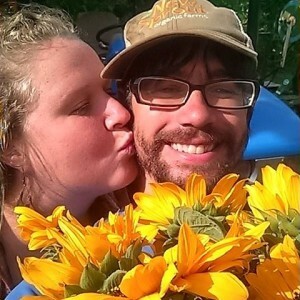 Danielle Hutchison owns and operates Beacon Village Farm with her husband Mike. Equipped with more than a decade of agricultural experience and education, they have been growing produce for the local community in the historic Beacon Village, located in Swannanoa, NC, since 2012. Danielle is dedicated to growing high-quality annual vegetables, while cultivating a viable farm operation where the couple is able to teach their son Coen to grow, learn and live sustainably. By participating in the New Sprout Network Grower program which sells organic produce to regional wholesale markets, Beacon Village Farm was able to expand from one sustainably grown acre in production in 2014 to fifteen certified organic acres of production in 2015! 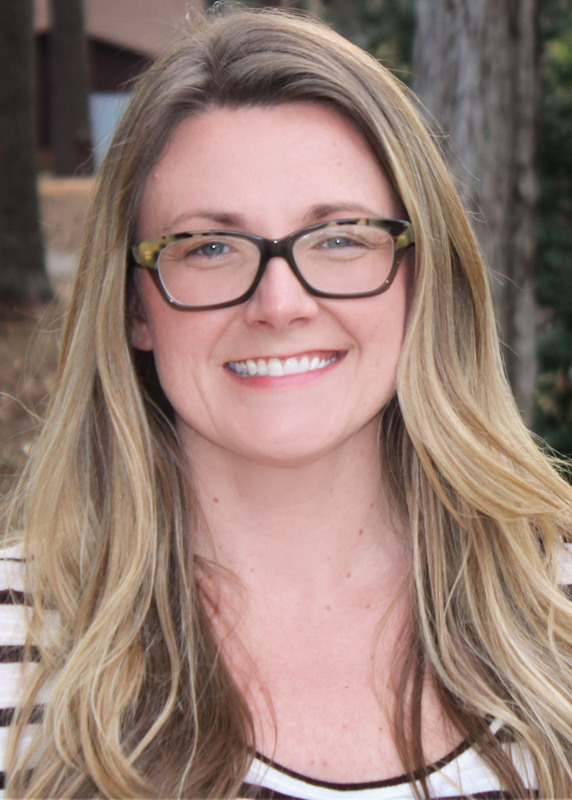 Lindsey Jacobs is an attorney and organizer living and working in Greenville, South Carolina. She regularly advises small farmers in North and South Carolina and is particularly focused on cooperative agriculture and addressing barriers to accessing land. Passionate about food policy, Lindsey consults on various food systems projects and is currently coordinating the Greenville County (SC) Food Policy Council. She has presented at workshops throughout the southeast in partnership with organizations including the National Young Farmers Coalition, South Carolina Organization for Organic Living, and Organic Growers School. She is privileged to serve on the South Carolina Food Policy Council, the Greenville County Board of Zoning Appeals, and the GVL2040 Steering Committee. In her free time, she can be found tending to her backyard garden, City Fig Farm, exploring our national parks or hiking through Appalachia with her husband and their dog, Sioux.